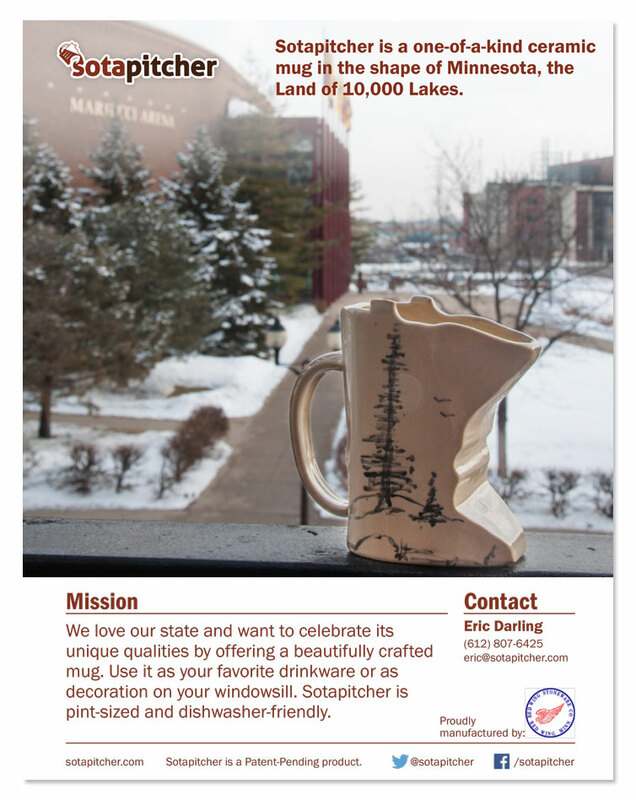 Sotapitcher is a one-of-a-kind ceramic mug in the shape of Minnesota, the Land of 10,000 Lakes. To help get the word out, we helped create a Kickstarter video, took new product photos and designed several promotional materials. At the conclusion of the Kickstarter, a simple e-commerce website was created to help consumers find Sotapitcher online after the initial launch.